The nature of my work is such that most of what I hear about myself is negative. I have built my business dealing in what are essentially radioactive labor disputes. What press I get is usually negative, and many folks I meet don’t view me warmly. I have even lost some friends over these things. It isn’t pretty, which is why I find solace in cars and dogs. But my employees surprised me last night at our Christmas party. One of my receptionists gave a lovely little speech about me, and said I was the best boss she had ever had. 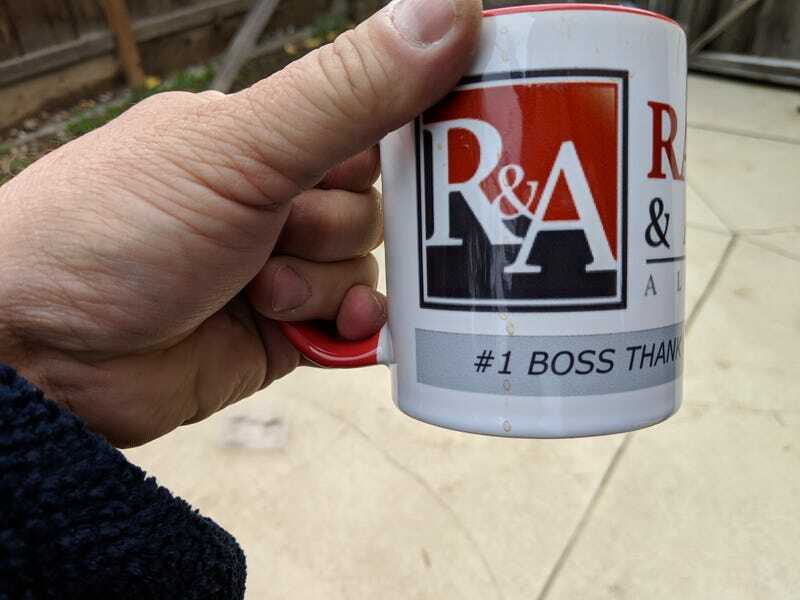 They gave me a coffee cup and hat with our logo, and #1 Boss emblazoned on them. They also got Toby a bed for the new office. I played it cool, but damn if this gesture didn’t hit me where I live. I really enjoy providing employment and opportunity, and I am grateful and humbled that I have been lucky enough to employ these folks.